A massive blaze was reported at a construction site in San Francisco on Wednesday following an explosion in a gas line. 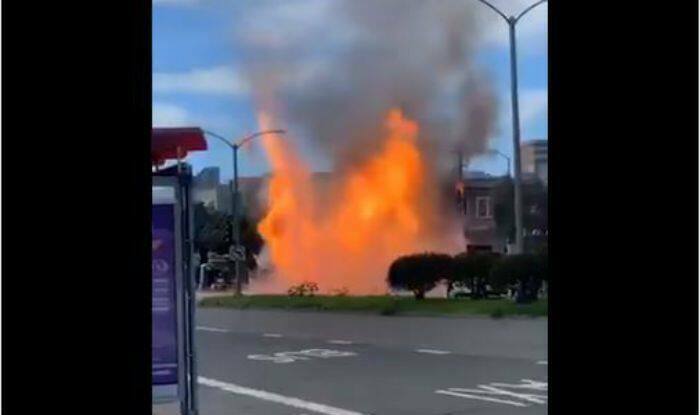 San Francisco: A massive blaze was reported at a construction site in San Francisco on Wednesday following an explosion in a gas line. The efforts are on to bring the flames under control. Meanwhile, rescue and search operation is underway as several are feared trapped. No casualties or injuries were reported till the time of filing this report. The incident happened around afternoon at the corner of Geary Boulevard and Parker Avenue. The inferno has badly engulfed five building, including Hong Kong Lounge II restaurant, in Jordan Park neighbourhood. The buildings which have been damaged are both commercial and residential. As per reports, Joanna Hayes-White, the San Francisco fire chief, said that eight construction workers were digging the ground to install fiber optic cables when they hit a gas line. It was turned off almost two-and-a-half hours after the explosion, claimed the San Francisco Fire Department and PG&E. Meanwhile, the city police has asked the people in nearby buildings to evacuate. Furthermore, numerous streets in the Richmond District have been closed. All traffic in the area faced disruption due to the incident. The massive blaze also accounted for the diversion of bus routes away away from the accident area. The incident has left over 100 people displaced and above 3,000 without electricity. The blaze was brought under control after a more than two-hour firefighting operation.